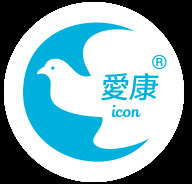 We, KARESOL Sdn Bhd is the sole distributor in Malaysia set up in the Year 2016, December for the products “ICON” on sanitary pad. These pads have been proven through test by a well known third party certification , SGS in Taiwan that the product is able to suppress 99% bacteria and germs within 30 seconds. Our intention is to bring in these products in order for the women in Malaysia to have the opportunity in terms of varieties on sanitary pads selection.